1. 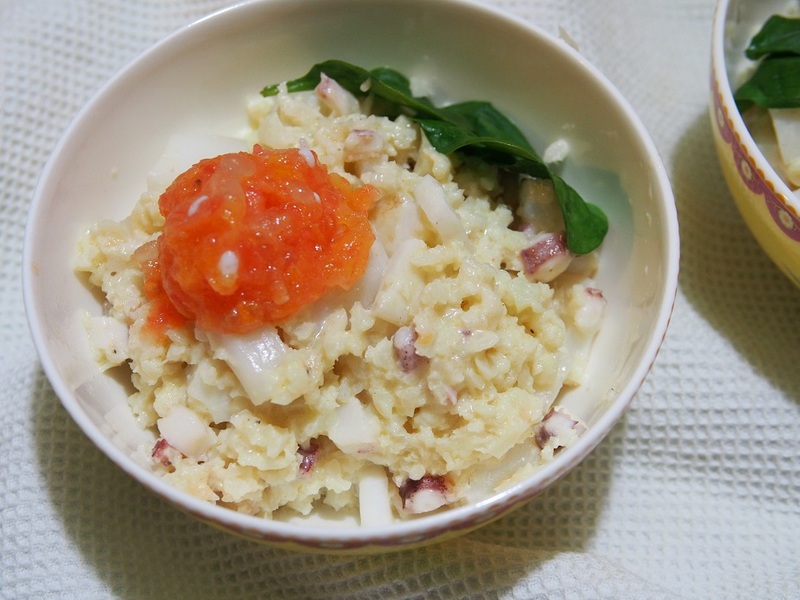 Process cauliflower florets in the food processor until the texture reminds you of rice. Blend smaller portions for consistency. 2. Lightly beat a splash of olive oil and a raw egg. Alternatively use cheese and cream instead, then mix with the cauliflower rice. Season to taste. 3. 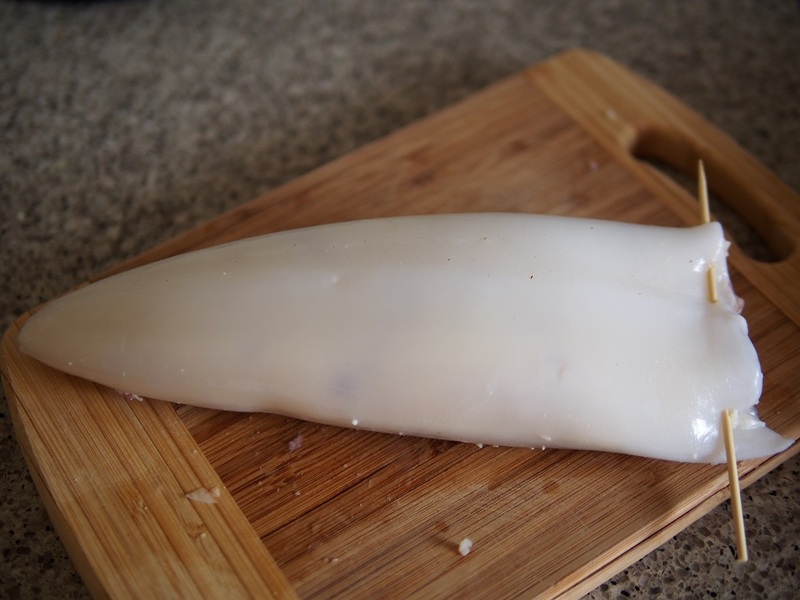 Leave the calamari tube for later and cut all of the other parts, spray a wok with oil and stir fry the diced calamari for 5-10 seconds on very high heat, then add to the cauliflower risotto. 4. Put roe into warm salted water (about 38C) for 5-10 minutes. 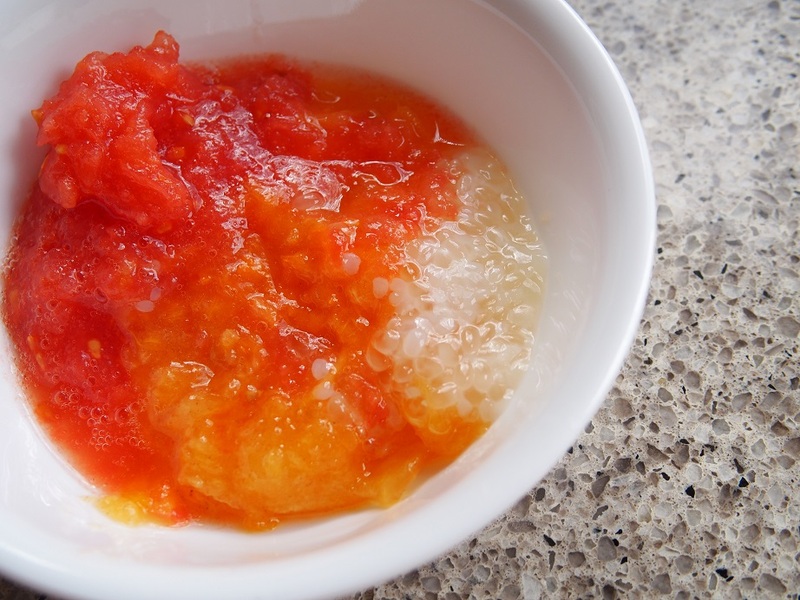 Then sieve, remove the egg skein, and add the loose eggs (roe) to the coarsely grated tomato and persimmon. Add spice and season, mix well and put into a fridge. The chutney will be set. a. 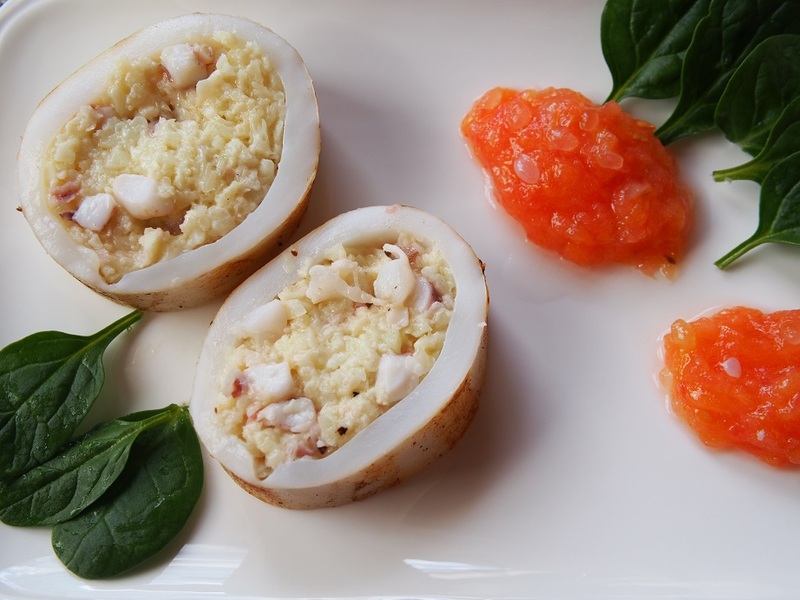 Fill the calamari tube with the risotto and seal with a skewer. Grill or bbq the calamari constantly turning it, for 2-3 minutes on high. Use salt and pepper once done. 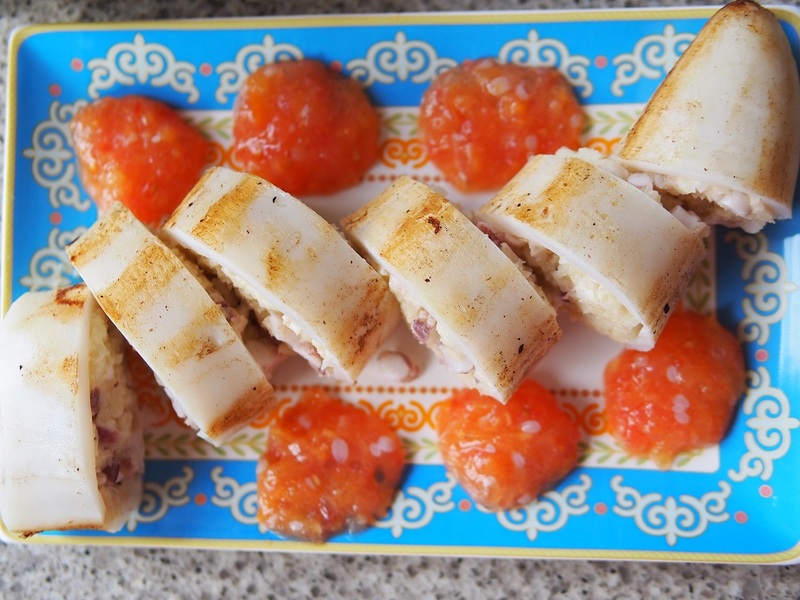 Slice into portions and serve with the chutney. b. Cut calamari in half and grill each side for 1 minute. Warm up the risotto in the wok over the medium heat, switch off, dice the grilled calamari and mix into the cauliflower risotto. Use salt and pepper if needed. Serve with the chutney.